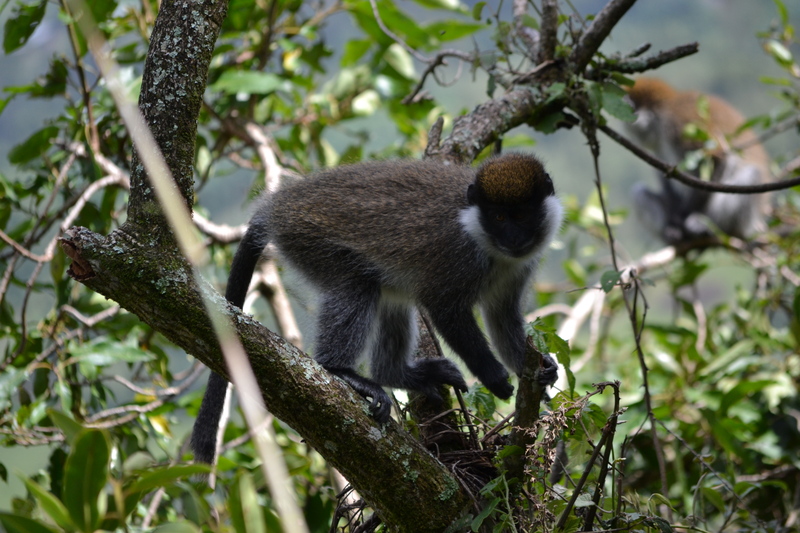 Protecting and restoring bamboo habitat for threatened Bale monkeys in Ethiopia. Bale monkeys are bamboo forest specialists. Where these monkeys still exist in pristine, intact forests, bamboo makes up between 80-90% of their diet. In this natural habitat these folivores not only feed on the young leaves and shoots, but they also find shelter in the dense forests stands. Bamboo is imperative for the long-term survival of Bale monkeys, but worryingly, these forests are severely under threat. Bamboo is very versatile and can be used to manufacture many products including furniture, fences and flooring. As local consumption and commercial interests increase the harvesting of bamboo, the forests are becoming ever more fragmented. Bale monkeys are having to supplement their diet with grasses and herbs in areas of reduced bamboo forest. The harvesting of bamboo forests in the long-term needs to be sustainable and managed in a way that ensures a livelihood for the local community without impacting on the monkeys that depend on them. Addisu Mekonnen and his team have been working hard to learn more about the needs of Bale monkeys, whilst working with the local community to ensure their needs are met too. Bale monkeys prefer to feed on younger leavers and shoots so Addisu is coming up with a strategy whereby only more mature and older bamboo stems are harvested for economic use, thereby ensuring a sustainable supply of food for the monkeys, and product for the local community to sell.